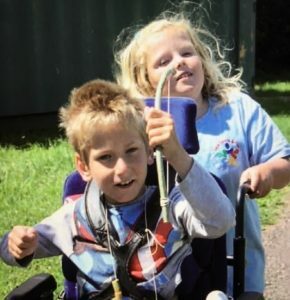 Building on the commitment to provide short breaks services to disabled children with a range of complex health needs through an integrated approach, the Disability Futures Programme is supporting the development of an integrated service specification for services in Cardiff. This will ensure short breaks and respite provided across health and social care are consistent and equitable to those most in need. 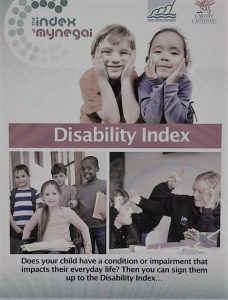 This project will use a pooled budget approach and an integrated workforce across health and social care to deliver short breaks services to disabled children living in Cardiff. With support from the Integrated Care Fund, this pilot provides additional capacity across health and social care to begin changing the way that services are delivered for disabled children and young people who have the most complex needs. For the purposes of the pilot, those included in the category of complex needs are those with Continuing Care status and young people with pending requests for assessment for Continuing Care. This pilot will join up service delivery across health and social care, reducing duplication and maximising time and resources for those most in need. Through the Integrated Care Fund this additional support to children with complex needs will provide an opportunity to demonstrate integrated working, whilst maintaining core service delivery, enabling a proof of concept approach that will inform future service design. In addition, future efficiencies in core service delivery will be achieved over time and support the longer term aspiration of an integrated service for disabled children, young people and young adults. A small number of young people who present to statutory services with ADHD or Autism have needs which have escalated to the point of family placement breakdown. This presents a significant challenge in providing intervention services at a point where it is often considered as ‘too late’. These complex cases prove a challenge to support across health and social care and often result in costly interventions, including placements out of area. Interventions delivered at a much earlier time improve family resilience and openness to change, and reduce the likelihood of placement breakdown. This reduces the cost of delivering services at a higher level if interventions are delivered at an earlier time and are successful. A number of pilot services have been delivered on a short-term basis to trial an early offer of intervention services at first presentation of need. These include enhancing front door delivery, improving transitions, building life skills and offering greater support to parents.